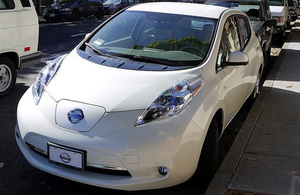 A wave of charge-points to support the fast-growing popularity of plug-in vehicles will be installed across the UK after the government set out £32 million of infrastructure support up to 2020. Homes, hospitals, train stations and A-roads will be some of the locations for further charge-points to maintain Britain’s position as a global leader in this cutting-edge technology. In addition, another £11 million of funding has been announced to boost the UK’s position as a world leader in low emission vehicle technology innovation.